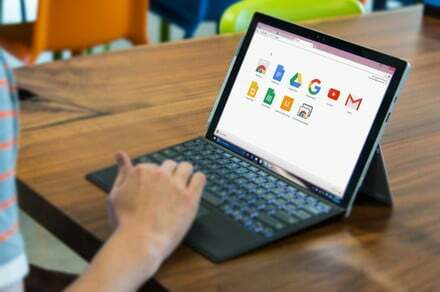 If Chrome OS is going to continue to make headway in the market, then it needs a strong ecosystem of apps to let users get what they want done on the platform. Allowing Android apps to run on Chrome OS has been Google’s main approach to solving that problem, and the company has done a decent job of making it happen. Now, it seems that an important milestone is being reached — enabling Android apps to run in split-screen mode. That’s a very important capability as Google and various manufacturers work to push out Chrome OS tablets, to go with the increasing number of convertible 2-in-1s with displays that can flip around into tablet mode. Chrome Unboxed reports in with a demo of just this functionality, with split-screen Android apps running on a Samsung Chromebook Pro. Check out the video above for the demonstration. The Chromebook Pro was running Chrome OS Canary, which is a very early pre-release version. That means that split-screen mode for Android apps is likely a few months away. But as you can see in the video, the split-screen functionality works a lot like it does in Windows 10. When you enter the multitask view, you’ll see the available running apps. Grab one and drag it to either side of the display, and it snaps to that side and fills half of the display. Picking another app and pinning it to the side fills the other half. Also as with Windows 10, you can grab the divider and drag it to re-side the apps. Overall, it looks like welcome functionality that will greatly improve the Android app experience on Chrome OS. As the video points out, apps will need to specifically support the feature, and so that could have some impact on how quickly it’s rolled out. Split-screen view joins a list of functionalities coming to Android apps on Chrome OS. Another is Android notification badges, which would be huge for Android productivity apps. And as Chrome Unboxed pointed out, Android apps will also be gaining the ability to run in parallel on the platform, which is important for making Chrome OS a true multitasking platform.